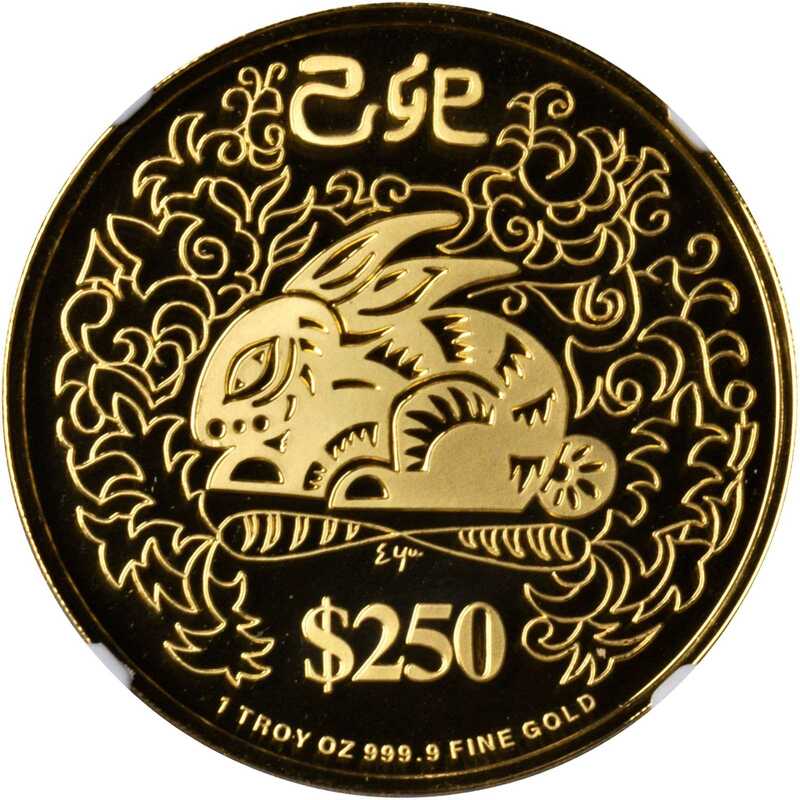 新加坡。1999年250元，生肖系列，兔年。SINGAPORE. 250 Dollars, 1999. 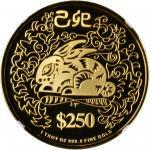 Lunar Series, Year of the Rabbit. NGC PROOF-70 ULTRA CAMEO.发行量7,600枚，Krause仅列出发行量4,500枚。附原盒及证书，证书编号2814。恍若初铸，无氧化、朦胧或起雾。NGC PROOF-70 ULTRA CAMEO.